Temperatures had risen steadily through the week, and by the time I was on my photo shoot on Sunday morning it was a pleasant 22°C. It was a shame that the sun was hiding behind thick banks of cloud, but that was quite fortunate as it provided a natural filter for my photographic endeavours. 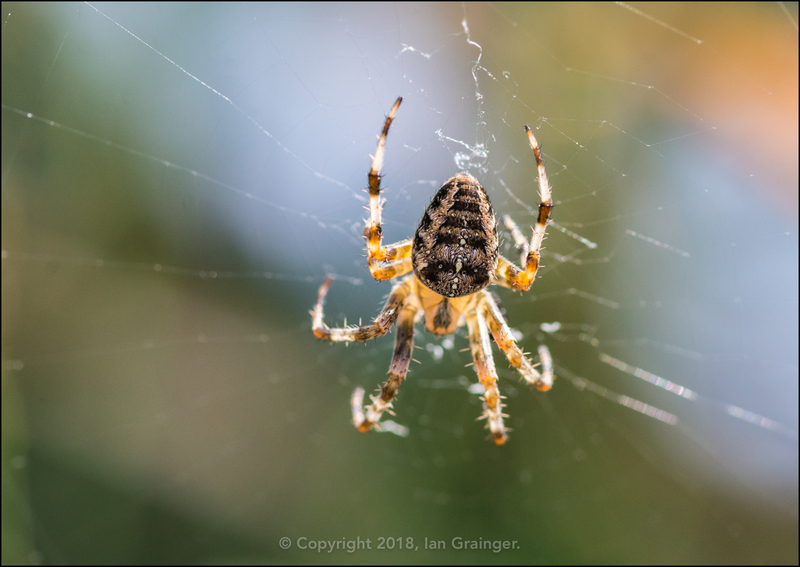 I always think Autumn has definitely arrived when the Garden Spiders (Araneus diadematus) show up en masse, and they were certainly in abundance this weekend. 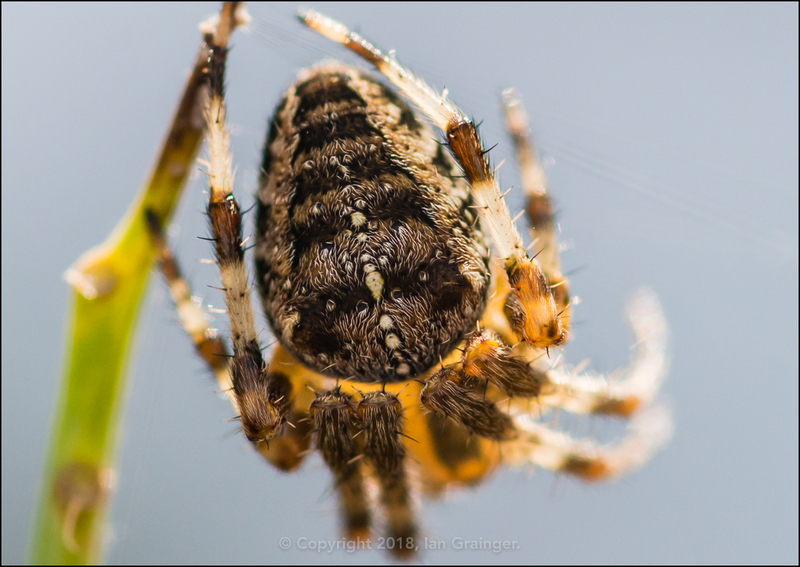 I particularly liked this shot of one as it waited in the corner of its web. Just look at those hairs on its back and legs. It was actually quite difficult walking around the garden without unknowingly wandering into a web. Some had been spun across quite large expanses, making me wonder how on earth the Spider had managed to construct it. The webs were certainly very effective at catching small flies - as well as myself! Many of them contained little portions of wrapped up morsels that the Spider could consume throughout the day. 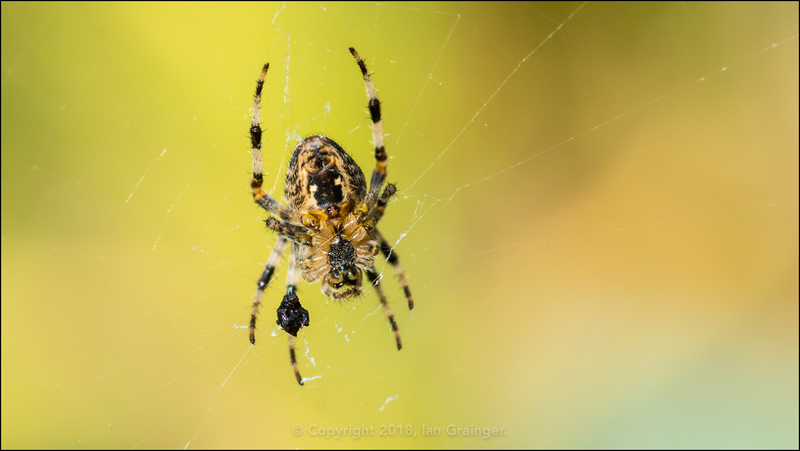 Other than Garden Spiders and Flies, there were very few other insects around. 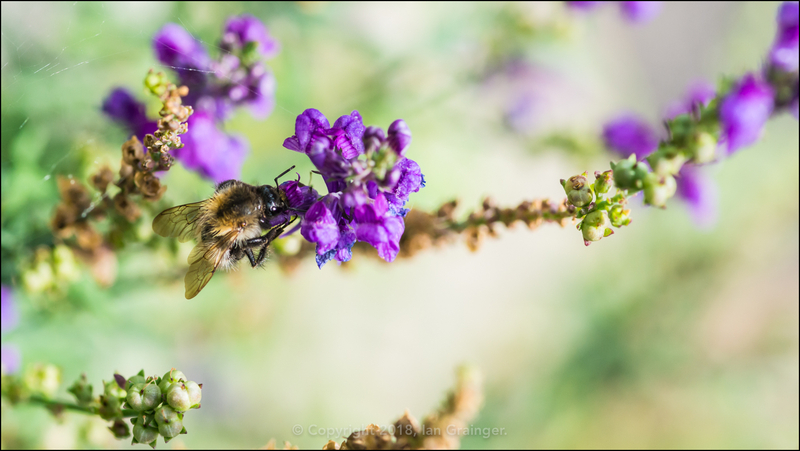 This small Bumblebee (Bombus) was one of only a handful I saw as it foraged on the Purple Toadflax (Linaria purpurea) blooms. 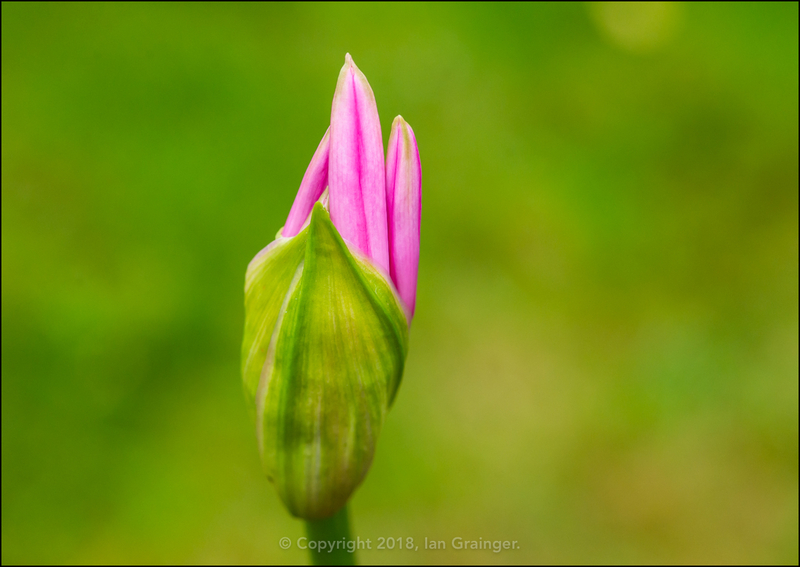 Probably the most exciting event yet to happen in the garden was the arrival of the Nerine (Nerine bowdenii) blooms. This year only one had appeared, and it looked like it would be revealing itself within the coming week. 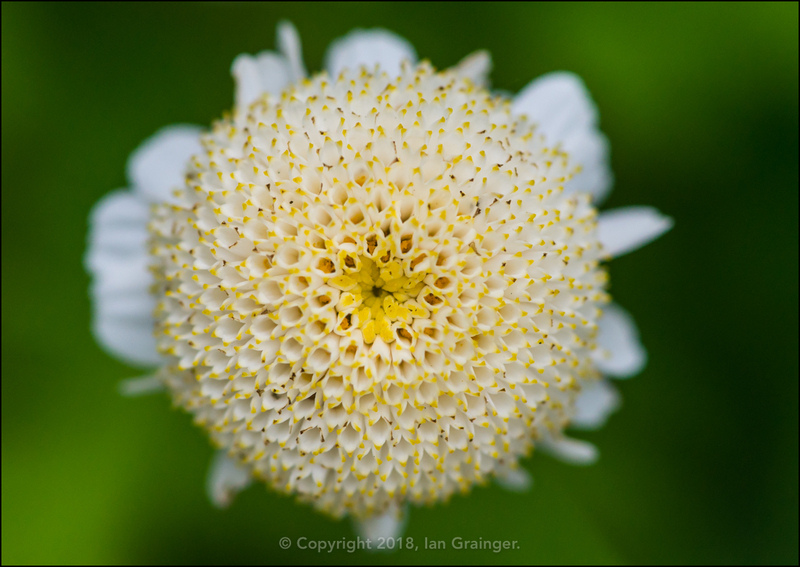 Other blooms still going strong were the lovely Feverfew (Anacetum parthenium) flowers, which were coming to an end, but still looking good. 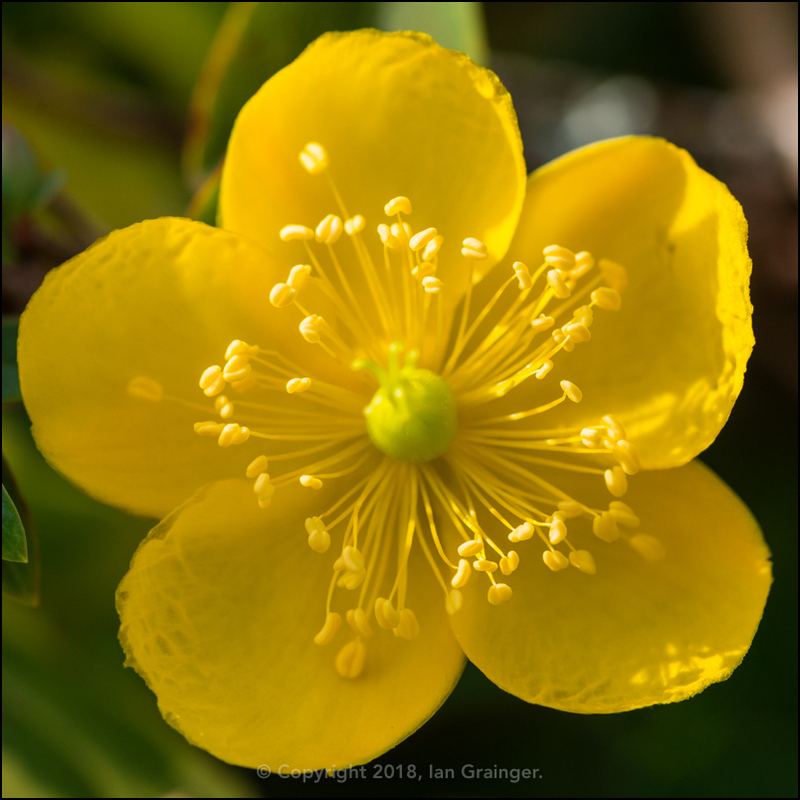 The St John's Wort (Hypericum) blooms were now on their second outing, and were brightening up otherwise dull areas of the garden. 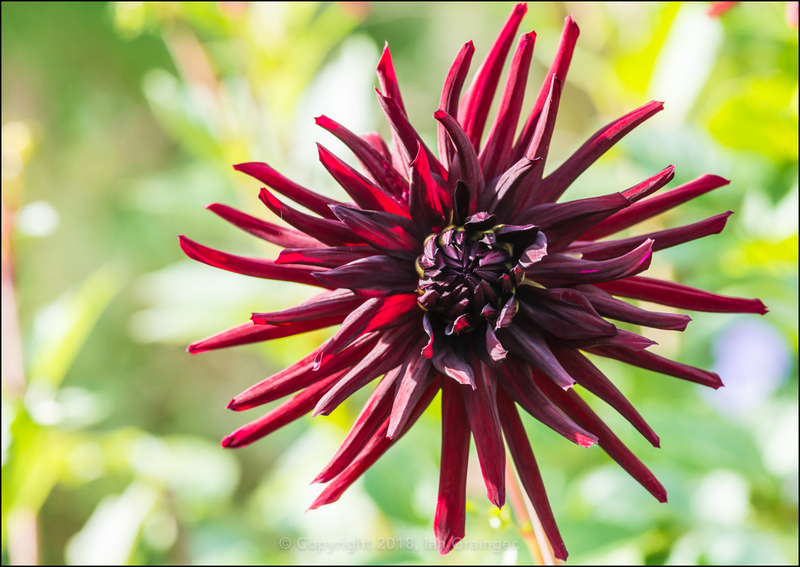 The Dahlia 'Nuit d'Ete' blooms kept on coming, with this particular plant having a dozen or so more flower buds left to open. 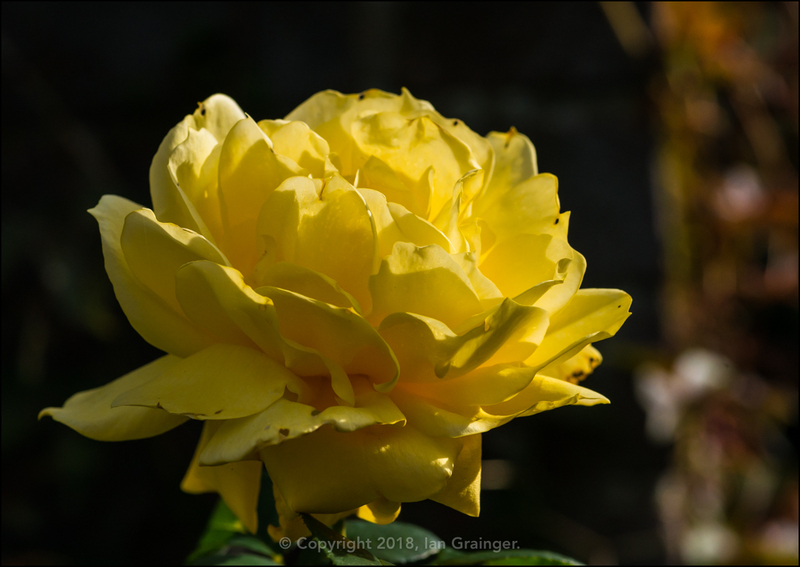 The classic Rose (Rosa) 'Peace' was even flowering once again, despite most of its leaves being decimated by black spot. 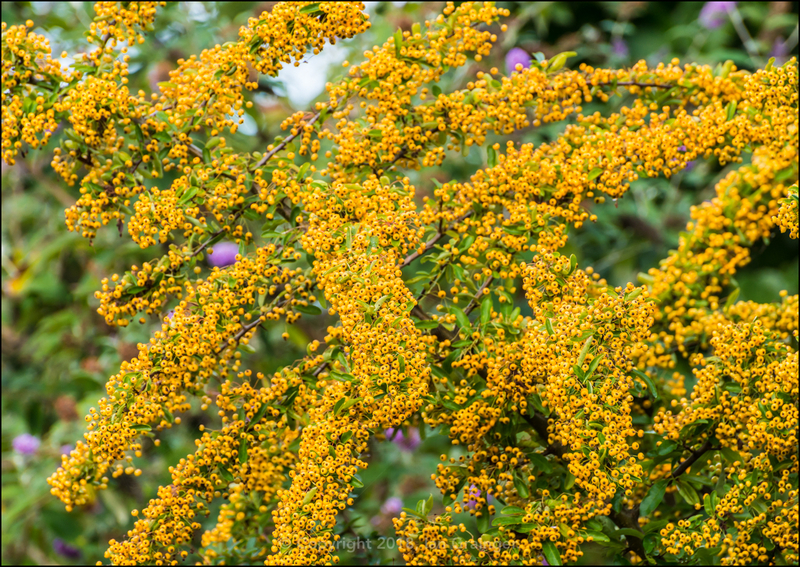 One of the most magnificent sights in the garden at the moment was this Firethorn (Pyracantha ) bush, which was absolutely covered in ripening berries. It had never looked so good, and would provide a fantastic Winter treat for the Blackbirds. 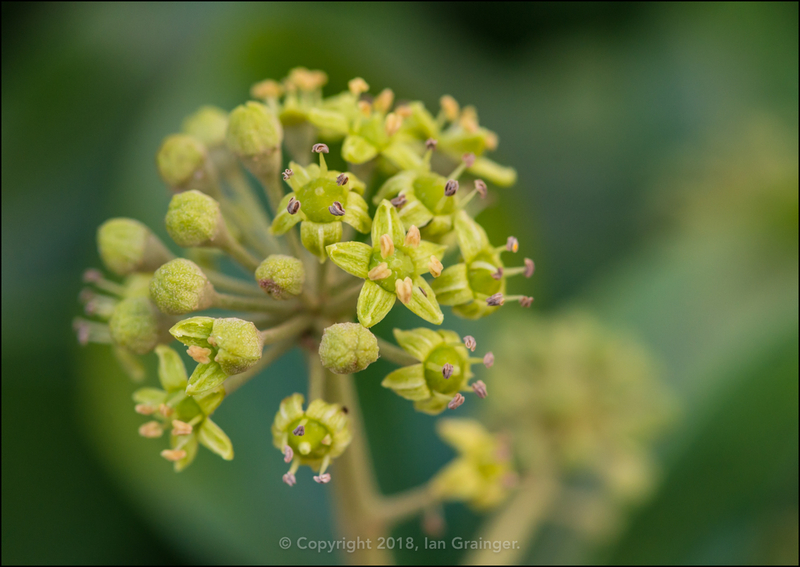 As discussed a couple of weeks ago, the Common Ivy (Hedra helix) had started to break out into these understated but quite intricate little flowers. 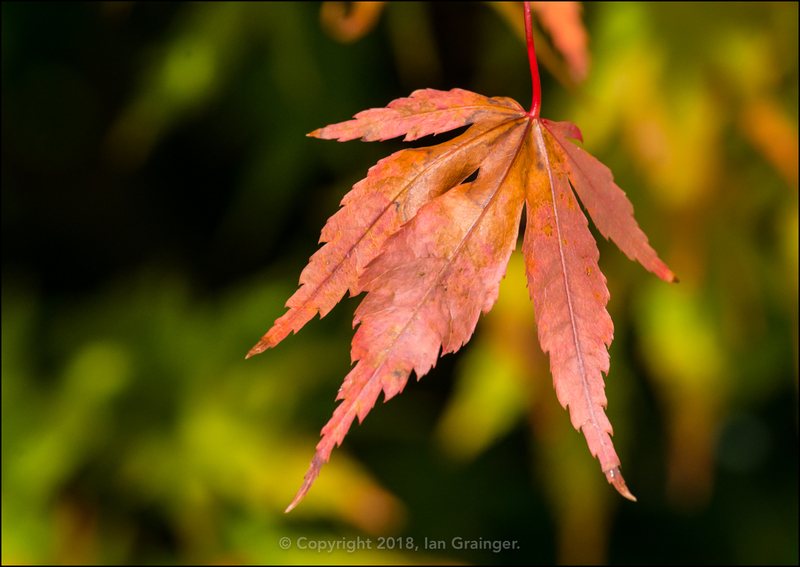 The Acer palmatum tree had continued to don its Autumn colours, with most of the leaves now turning this lovely brown hue. 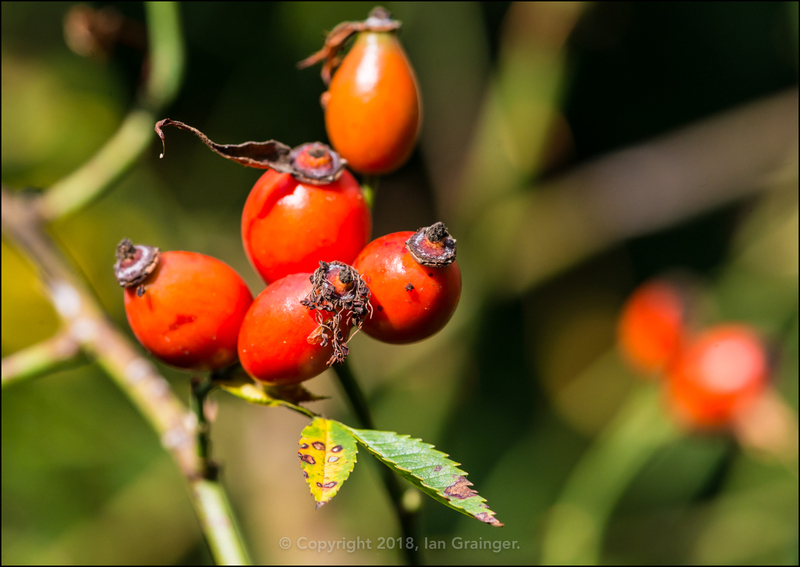 A couple of Wild Roses (Rosa) had produced rosehips this year, which added a few bright points of colour to otherwise drab looking areas of the garden. 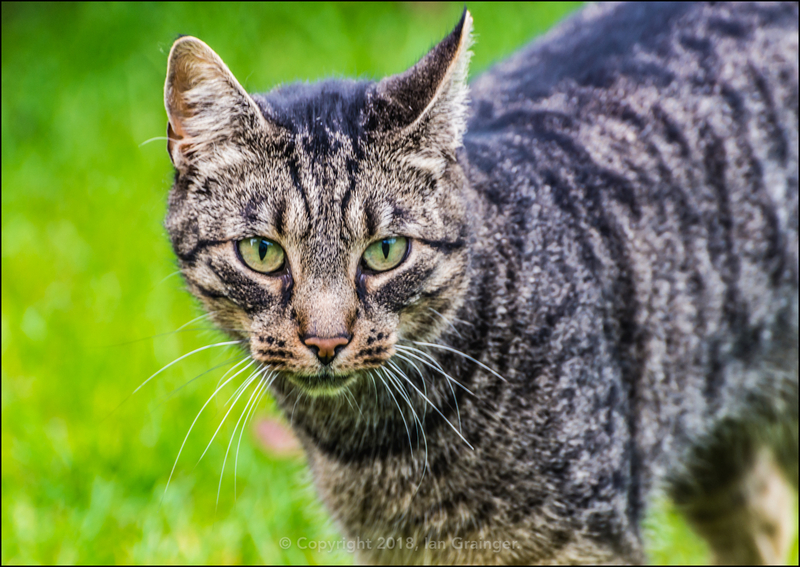 Dad's young kitty companion made another visit while I was in the garden this weekend, and followed me around for a while. He doesn't seem to like his picture being taken though, so it's difficult to get a decent photo of him. Finally my fishy friends. 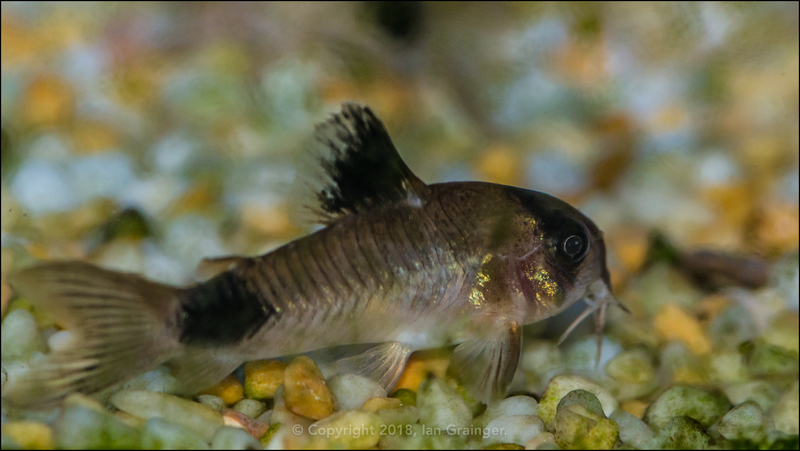 This week we're taking a look at one of my lovely little Panda Cory's (Corydoras panda). They're probably my favourite of all of the Corydoras catfish.